I hate having to wake her up. She looks so gorgeous and cosy all snuggled up in her cot. 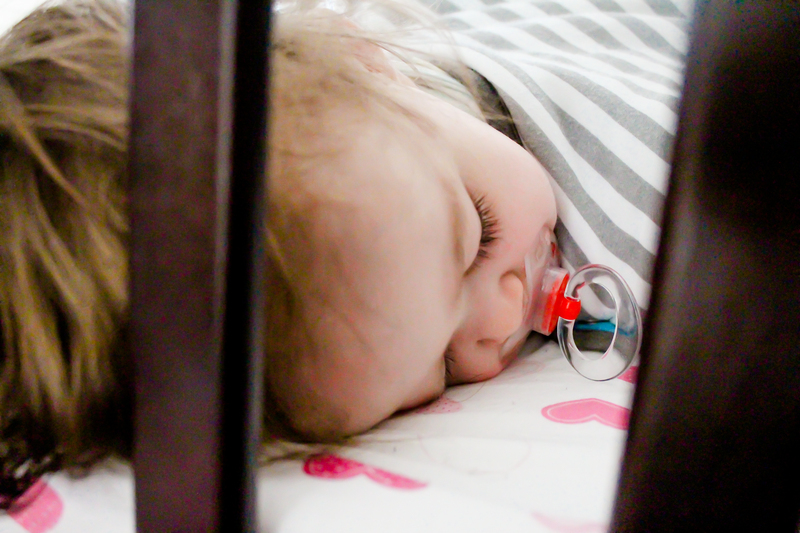 They’re so angelic when they’re sleeping, those sweet little eyelashes brushing their cheeks. I really like the vertical slats of the cot and the hard stripes against her soft soft sleepy skin. One of my favourite of your pictures. Aw bless, thanks Julia! I was debating using it because I didn’t think it was that good (to anyone but me) haha!